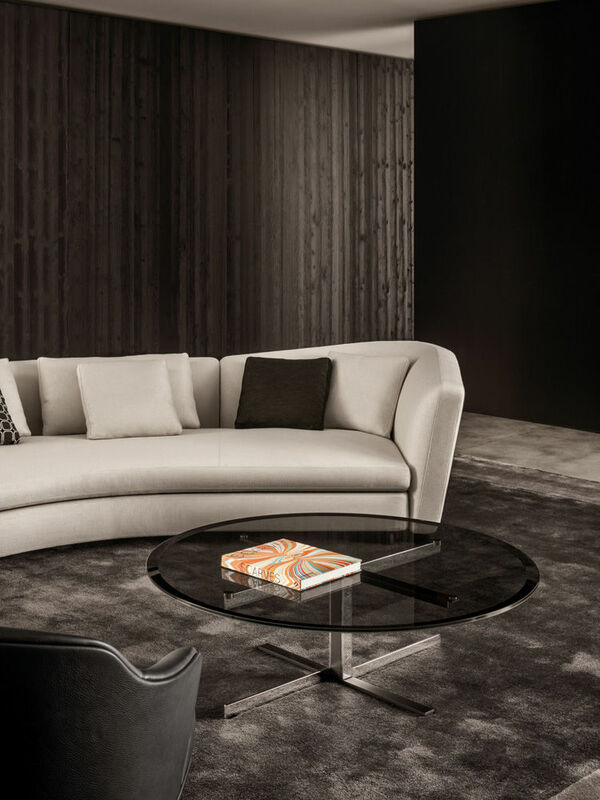 The Catlin collection of coffee tables conveys an air of sophisticated simplicity, available in an array of materials that express refined, restrained elegance. 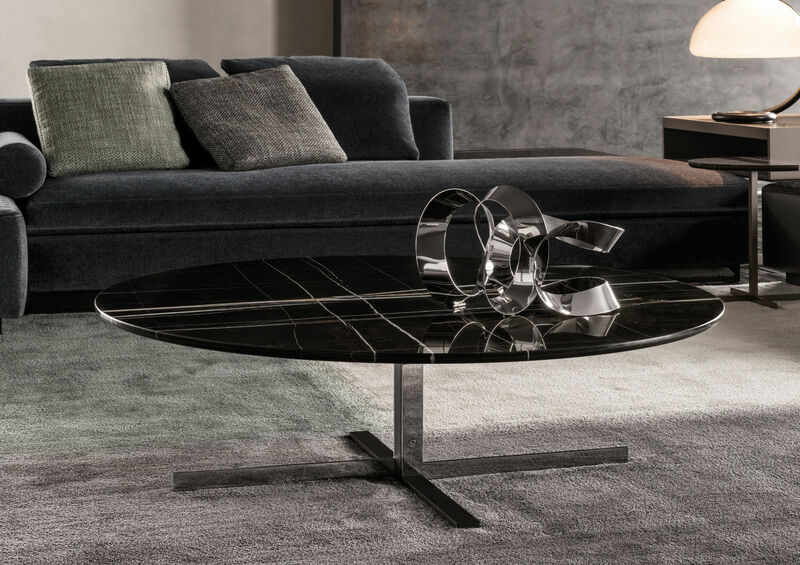 If the Catlin coffee table is simple by design, the choice of materials offers exciting combinations for creating bold visual and tactile effects. 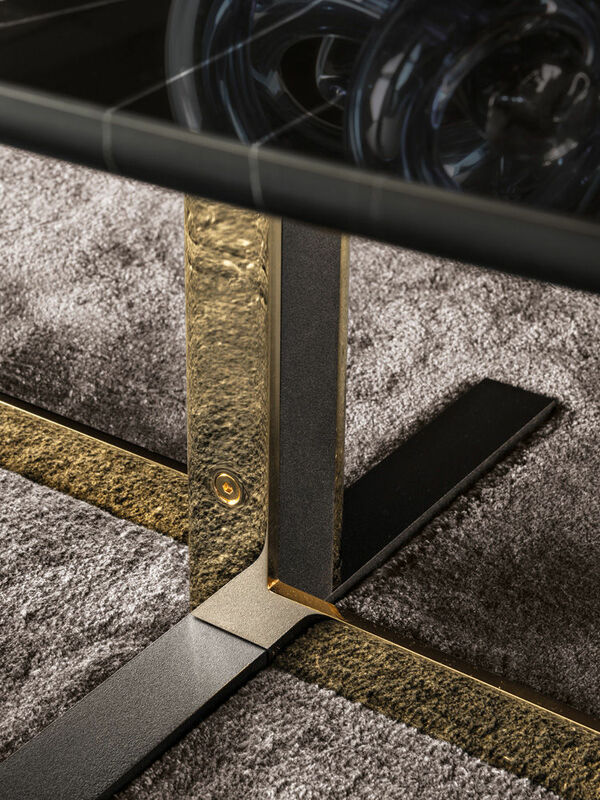 The elegant metal base features a cross-pattern motif and invites some unique combinations: textured black-painted paired with bright Chrome or Gold finish, for very different stylistic interpretations. 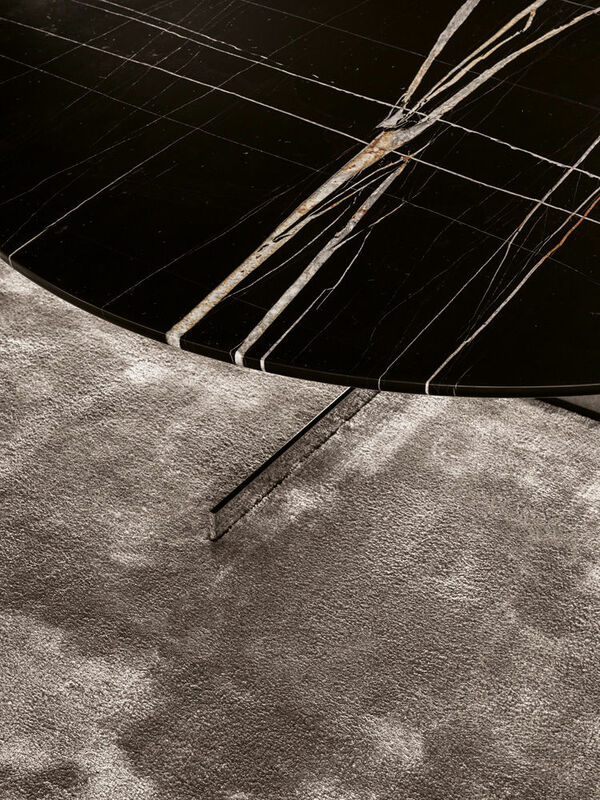 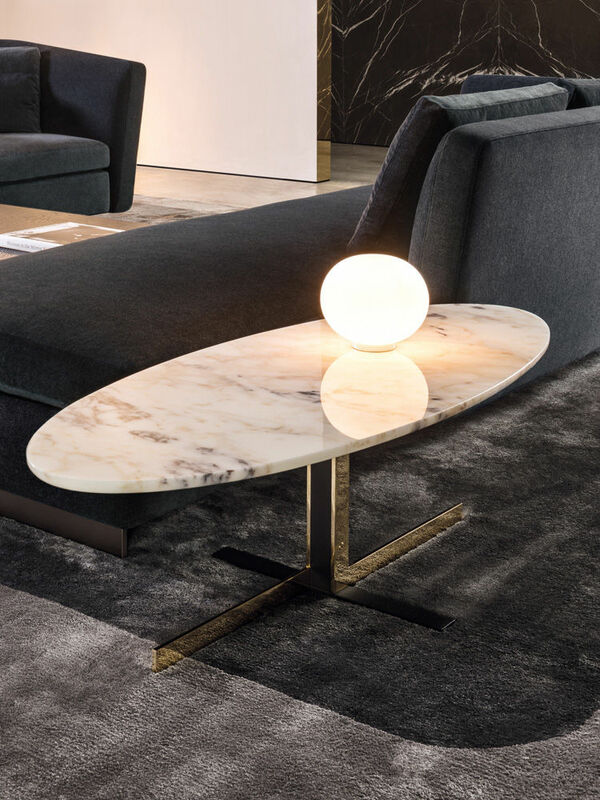 The suggested combinations of materials for innovative elegance continues with the table top options, available in laminated Smoked Grey glass or in two rare and luxurious marbles like Arabescato Purple or Sahara Noir, with polished finish. 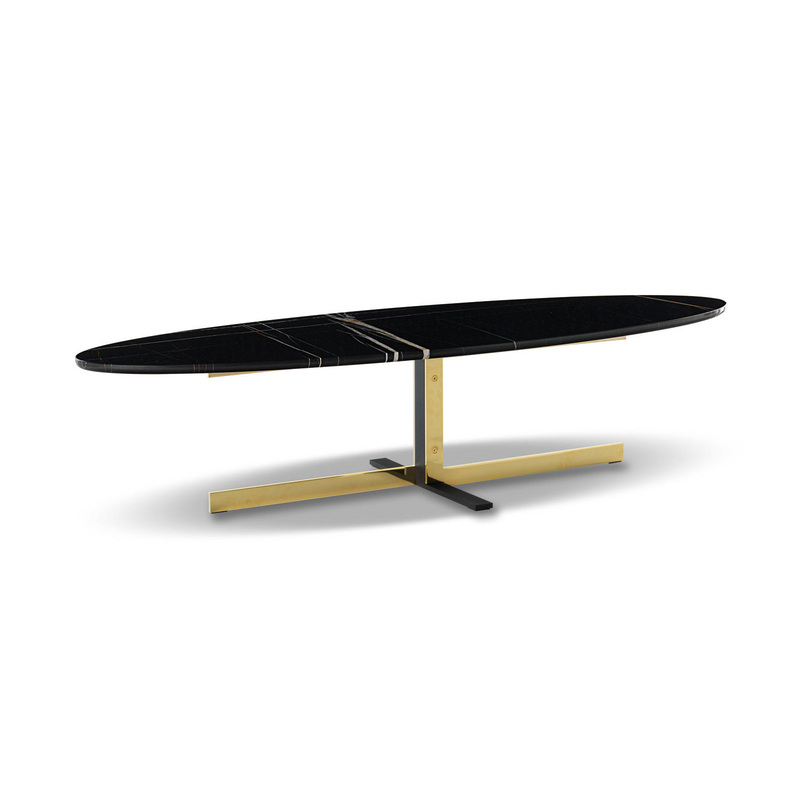 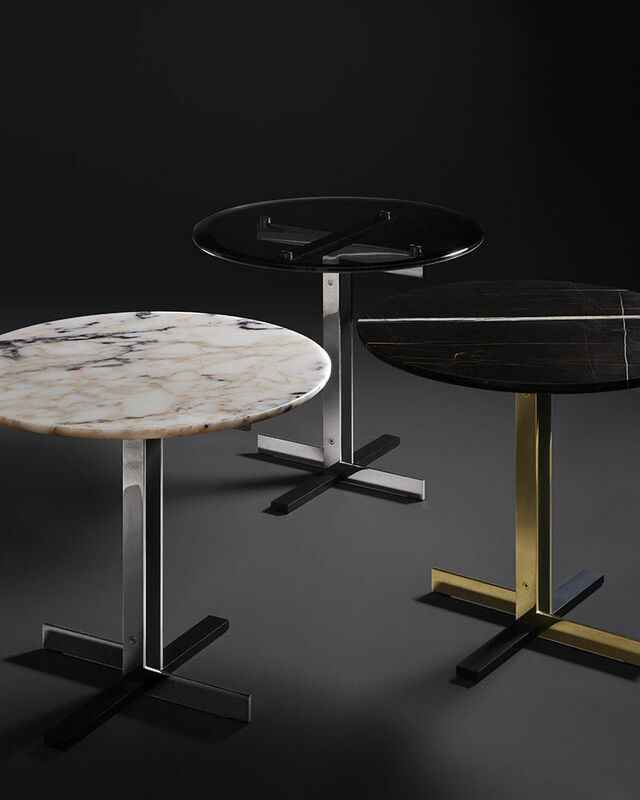 The Catlin series includes coffee tables with round and oval tops, available in various sizes, as well as a console table version and dining tables.